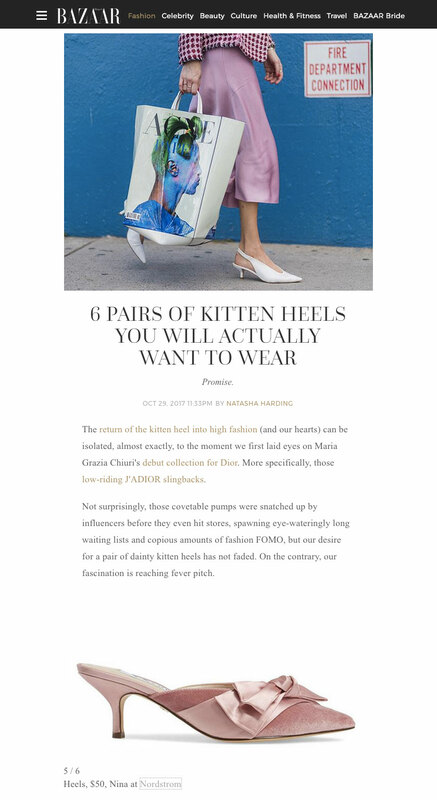 Kitten Heels are back says Harper’s Bazaar! The new craze in footwear according to Harper’s Bazaar Australia is the understated kitten heel. Their article featured six most have styles including the Nina Timara Bow Mule. Thank you to Natasha Harding for the love!